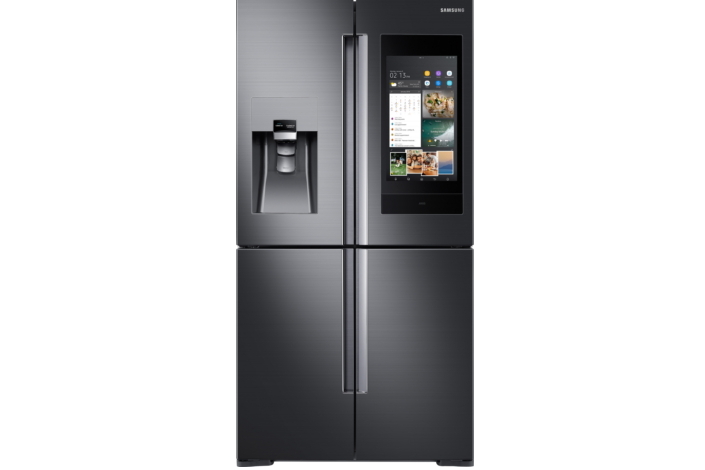 The latest iteration of Samsung's smart fridge can sync up food storage with meal preparation, keep family members better connected, and play music from a wide variety of services. The new model has integration with both Bixby and Samsung SmartThings, and you can now stream content from your smartphone to the fridge. If you have a SmartThings hub, you can control all your smart home devices from the fridge. Bixby can do all your normal assistant stuff, including reading the news, checking the weather, and reading your calendar. 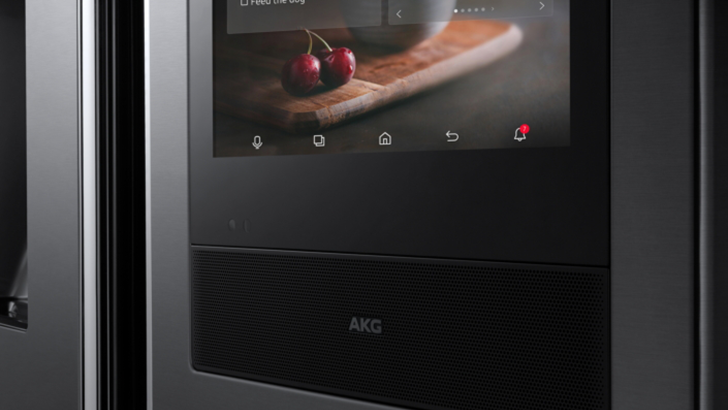 Below the fridge's touchscreen is a speaker from AKG, so streaming music should sound fairly good. The new Family Hub fridge will be available this spring. Samsung is showing off another product at CES - a massive 146" TV. Samsung says it's the first modular MicroLED TV, meaning it uses micrometer-scale LEDs in a module-based design, so it doesn't need a color filter or backlight like other TVs. 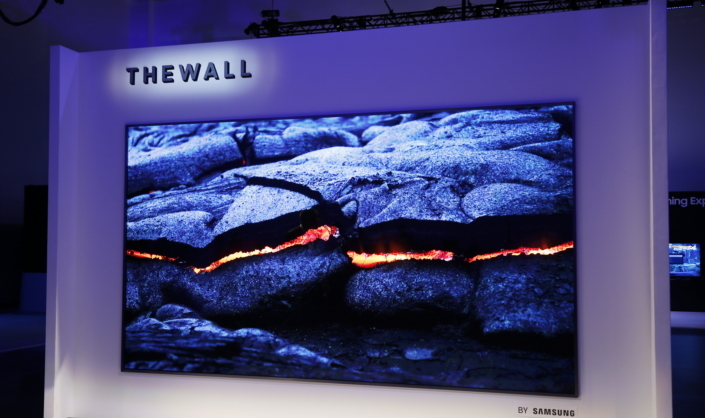 President of Visual Display Business at Samsung, Jonghee Han, said, "As the world’s first consumer modular MicroLED television, ‘The Wall’ represents another breakthrough. It can transform into any size, and delivers incredible brightness, color gamut, color volume and black levels. We’re excited about this next step along our roadmap to the future of screen technology, and the remarkable viewing experience it offers to consumers." 'The Wall' probably won't be sold to consumers anytime soon (if ever), but I'm sure we'll see more TVs use microLED technology as time goes on.